Bali Activity We introduce Fun thrilling activity! 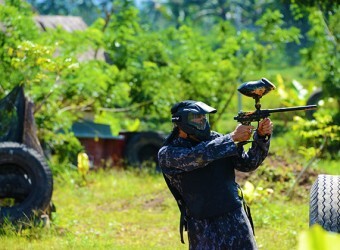 Paint ball is popular new activity in Bali. 2 teams shooting each other and if you hit by paint ball you will lose. The paint ball made by natural ingredients so it is safety if paint put on your skin. You can play paint ball at wide green field so it must be fun activity! ※The guest who Age 12～17 have to join with parents or the guest need Agreement from parents. ※The guest who age 11 years old can not join activity. ※The guest who age 12～17 have to join with parents. ・You can bring your camera during game, however activity company will not take responsibility when its broke.